I'm pretty excited about possibly forming a LUNA Chix mountain biking team in the Harrisburg area. 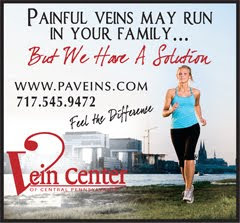 Attention all women who love to get active outdoors! I am assembling a group of women who would love to get together, promote an active lifestyle and help raise awareness for Breast Cancer. Team LUNA Chix brings together women interested in being healthy, learning new sports and giving back to their communities — mixing equal parts fun, fitness and philanthropy. I am interested in starting a Mountain Biking LUNA Chix team in the Harrisburg area. Women of all ages and fitness levels are welcome. Don’t be intimidated by the Mountain Biking part, we could do easy, intermediate and harder trails or maybe even a road ride. We welcome women at any fitness level, whether you’re working towards your very first bike ride or a seasoned athlete with some mad skills to share. The Team’s goal is simple -inspire, motivate and connect women through sport, while also supporting LUNA’s non-profit partner, the Breast Cancer Fund. - Host two no-drop workouts a month — open to any and all women who want to get out there and have a good time. - Raise a minimum of $1,000 for the Breast Cancer Fund. - Maintain a team web page at teamlunachix.com where photos and calendar listings can be shared. We ask that the team also contribute two blog posts per month to highlight all your exciting activities! Feel free to email me ( jendownie[at]aol.com) with any questions. Please contact me by November 18th if you are seriously interested in participating (Harrisburg PA area). Skills other than mountain biking that could be helpful: sports background, mentoring, volunteering, fundraising, technology, marketing, and accounting. Keep in mind that right now, I’m just gathering contact information of women who would love to join the team. 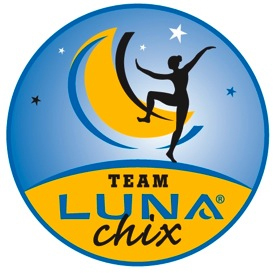 I do have to apply to LUNA Chix and hope they choose to start a team in our area. I hope you will join me in this journey!